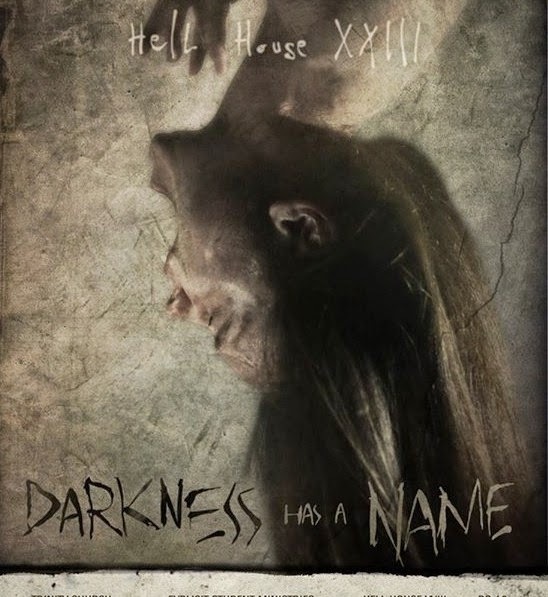 Home » christianity , halloween , hell houses , religion » Horrifying for Jesus: The problem with "hell houses"
Horrifying for Jesus: The problem with "hell houses"
The first time that I went to a hell house (we’ll get to what that is soon) it depicted a commercial airline crash. It was pretty impressive really, all taking place within the basement of a Baptist church in Asheville. Then we were taken through a series of rooms that showed what happened to the characters following their untimely deaths. Some were lifted away by “angels” (younger members of the church in white robes absent the wings) and didn’t show up until later. And then there were some who were condemned because of their unbelief. These were hauled out of sight by other youth members in demonic makeup. Their eternal destination was what could only be called the “Hell Room”: a very dark room that required holding onto a rope to navigate through. Still more youngsters in glow-in-the-dark masks and faintly luminescent attire mulling around while an older man playing the devil himself ranted about how there was always room in Hades. The kids would occasionally whisper “Ssssaaatan!” or some such. The conclusion of the hell house proper was a room depicting Jesus and the good characters coming in to worship Him. What followed after was that those of us in our group were brought into a normal classroom up a floor where another older man talked about the gospel of Christ and salvation. The gist of the message though was clear: be saved or go through worse than what you just saw. I will be honest: it was a show that even years later disturbs me. But probably not in the way that the organizers had intended. There are various names for them: “hell house” or “judgment house” or the like. They’re meant to be a Christian version of the haunted attractions that spring up around this time of year. Some of those are pretty fantastic. Others are unbelievably complex: Woods of Terror - a nationally renowned annual Halloween attraction - owned an operated by a devout Christian, incidentally - is just down the road from where I live and is a true wonder to walk through. The “haunted” attractions have a straightforward purpose: frighten the bejeebers out of you momentarily, only to propel you forward into more good-natured horror. You pay money and for the next 45 minutes you come perilously close to losing bladder control… all for fun, of course. That isn’t what the hell house is meant to be. They pop up in various churches every year at this time, just in time for Halloween. For twelve bucks you pay to travail from the mortal realm on through the torments of the damned, after which you are sent into an indoctrination session to explain what it is that you’ve just witnessed and how to avoid it. Doing such means turning to Christ for eternal salvation. I absolutely can accept that. We are most certainly kept in the arms of God from the moment that we turn to Him and surrender ourselves to His will. We are told that nothing will separate us from the love of God (Romans 8:39). Do I believe that once we have salvation, that salvation is eternal regardless of what it is that we do in this life? Yes. Definitely. But could it be that the people who go through a hell house are more being driven away from Hell than into a relationship with God? There is a difference between the two. And it’s one that seriously makes me wonder how much of the “repentance” is genuine and how much is motivated by a fear that could very possibly be as temporary as a weekend. I call it “horrifying for Jesus”. And there is something that is significantly troubling about that. Look, I don’t doubt that the intentions of the people running “hell houses” or “judgment houses” are very sincere. They have set out to do something that we as Christians are meant to do, and in some ways they do it quite well. And that is, to cause others to wonder about their eternal destination. But I have to question… as I have long questioned… the methods that are utilized toward that end. I’m compelled to wonder if the reason why some say that they turn to Christ is primarily out of fear of the torment of Hell. Now, do I believe that such a thing exists? As much as I do believe in “once saved, always saved”. As I have come to understand it over the years, Hell is something that God has to allow. Hell is for those who not only turn away from Him: Hell is for those who absolutely refuse to acknowledge Him. Because if they can not stand to be in the presence of God, then being in His presence for eternity would be an even greater torment. It is something that they could not possibly tolerate. Heaven would become just like Hell if such a thing were possible. What is Hell? It’s the absence of the presence of God more than anything else. Are our reasons to turn to God because we long to be in His presence, or because we fear the absence of Him? There is a difference between the two, I believe. One is based in love. The other is borne out of fear. The two are for all intents and purposes incompatible with each other. So what does it say about us as followers of Christ when we need stunts derived from fear? How is it that horror has supplanted love and tenderness in drawing others to God? Think about that. The word of God instructs that we are not given over to be driven by fear, because He who is within us has conquered fear. The Spirit within us has overcome the fearfulness of these fallen circles of the world. We are meant to be beyond the realm of this fallen realm and the horrors that are too much a part of it. So why is it that we are sometimes determined to drag some people back into that horror? And for an admission fee at that? We are called to be bearers of the Spirit. Not procurers of terror. How is it that Christians are using fear as a tactic for winning others to Christ? And does that, or does it not, speak of our failure as Christians that we have to resort to such things? Particularly when we are told that this isn’t the way we are supposed to be. It’s like this: followers of Christ don’t need gimmicks like hell houses. When we do so, we diminish the light within us. We are shying away from showing forth the new nature that we are meant to show forth to the world around us. We replace that light with darkness. We are in effect admitting that darkness is stronger than light. We aren’t supposed to be like this. We shouldn’t need depictions of damnation to encourage others to seek after Him. I believe that Christ is reality… and that should be more than enough. Christ suffices. Fear does not and never will, and is never meant to be a substitute for love. As I said, I don’t doubt the intentions of those who organize judgment houses, hell houses, whatever. They mean well. But there is supposed to be something infinitely more powerful than terror that will draw people toward God. And it doesn’t charge ten bucks and change, either. I agree, and thank you for writing this. It's bothered me for a long time too that Christians think they have to scare others instead of being Christlike in peace and love. I went through a judgement house last year and was appalled at what was happening in it. Children as young as 10 were seeing women screaming after abortions and the bloody fetus dangled in front of them. That church should have been ashamed of itself for that and especially in allowing small children to see that. Thank you for writing this. I'm sure others have thought likewise. I understand that Christians feel like they have to do something during the Halloween season, but this isn't something I could get behind. My mother grew up on hellfire and brimstone sermons. We grew up on Revelations sermons--and it's my mother's favorite book to listen to on audio when she's cleaning. Not fun to listen to when you're 8. I have a lot of issues with religion/spirituality, and have gone so far as to quit calling myself a Christian anymore. I think part of it is so much of my family's religious culture is based around fear. Fine, you should not anger God. Fine. Fear of the Lord is beginning of wisdom. Fine, fine, fine. But going on that, what separates him from any other pagan god, not someone you don't want to anger, but to go as far as saying, you don't want his attention, period? I have a tough time saying I love God. I'm far too afraid of him. It's just easier to reject it all. This is, I think, why young people who grow up in legalistic families turn away from the church. I don't want to reject God out of hand, but at the same time, when I see how sometimes the church behaves, I don't want anything to do with it. And then I have friends and fellow church members that talk about stuff that's happened in their lives. It's real to them. For me, it was a bunch of stuff that other people said and did. It never happened to me. I think the church does its young people a grave disservice in some areas. Probably in a lot of areas. This post hard been percolating for some time. Like, 2 or 3 years. It was one of those abortion scenes at a hell house this year that I heard about that finally tipped my hand. I have long believed that abortion might be the most grievously wrong thing that can be done in this world. Abortion is not only the murder of a baby for convenience' sake. It also destroys the sanctity of the soul. It diminishes our value for human life. If the life of the unborn can be thrown away, what does that mean for those of us born? Doesn't that make OUR lives just as disposable? Ever since Roe v Wade the amount of violent crime and especially senseless murder has soared. I do not believe that there is no correlation between the two. That being said, there is a more tactful approach to that than should be made by the hell houses. Abortion IS a sin... but so are a lot of other things as well. And NO sin is beyond the grace and forgiveness of God. Wouldn't it be more powerful, and more accurate, to depict a young woman begging for forgiveness after having an abortion, and receiving it? Or does that not fit the narrative of trying to terrify people into a relationship with God? Violent crime rates are less than half of what they were in 1973. There are plenty of reasons to be against abortion but that's not one of them. The crime rate is mainly influenced by the median age and not much else. Less young males ... less crime. All spectrums of political views often cite increasing crime as a factor in whatever view they may hold. It's simply not true.